When it comes to horror, my philosophy is less is more. That is why in lieu of most graphic gorefests, I gravitate toward more subtle narratives that mine horror from the deepest, darkest recesses of the human psyche. The short film IT HAPPENED ON ORCHARD STREET is an outstanding example of how affecting psychological horror can be. Written and directed by Scott Jeschke, the short opens on a very ominous note. A man named Walter (Luke Persiani) arrives back at his apartment with his hands covered in blood. This unsettling visual cue immediately sets the tone for the film. Visibly upset, Walter washes the blood from his hands, but it is quite evident he has either been the victim or perpetrator of recent violence. Walter attempts to settle in for the evening, but he soon has the disturbing realization he is not alone in his tiny apartment. Jeschke masterfully uses color, light, and shadow to create ever-mounting dread and tension - without a word of dialogue ever spoken. One memorable scene is when Walter is washing the blood from his hands in his kitchen sink. The juxtaposition of the sunshine-yellow colored backsplash with the crimson hue of the blood is a striking visual composition straight from Alfred Hitchcock’s playbook. It perfectly symbolizes the jarring intrusion of chaos into Walter’s usually neat and ordered world. In Jeschke’s hands even the usually mundane sound of a teakettle is transformed into an unnerving aural assault. However, the cinematography is the biggest hallmark of this short. Walter’s apartment is shrouded in shadow, which is used to incite tension and anxiety in both the protagonist and the viewer. I would be very remiss if I did not call out the terrific performance Persiani gives as Walter. Without speaking a word, he conveys the protagonist’s fear and angst solely by using his body language and facial expressions - signs of a skilled actor. 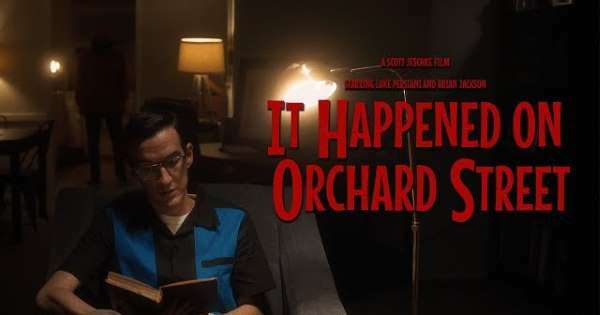 IT HAPPENED ON ORCHARD STREET is stylish psychological horror evocative of the genre’s best. Back in 2013, one of the first projects covered on this site was the fascinating horror web series SILVERWOOD created by award-winning director Tony E. Valenzuela. The drama about the dark goings on in a rural California hamlet hearkens back to classic television anthology series such as The Twilight Zone and George A. Romero’s Tales From The Darkside - but with a decidedly modern spin. Fast forward five years later, and the horror of SILVERWOOD is being revisited in its sequel SILVERWOOD: THE DOOR. SILVERWOOD: THE DOOR is an eleven-part story that follows two unaffiliated groups of people - a cub scout troop and employees on a corporate retreat - who share the misfortune of selecting the dense forest surrounding the titular town as the location for their respective outdoor activities. However, unbeknownst to all, the forest has been infected by an ancient, otherworldly… presence. This presence feeds on the groups’ darkest thoughts and most violent impulses. One by one, man, woman, and child fall prey to the corrupting influence of this presence, and soon all are enveloped in a hellish nightmare of blood, insanity, and terror. 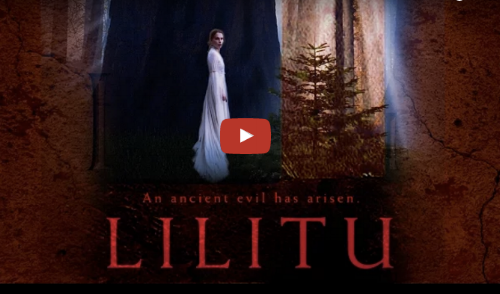 The story is chilling by being a Stephen King-like saga of ordinary people battling a place possessed by evil. SILVERWOOD: THE DOOR is a serialized story produced by innovative publishing startup, Serial Box. Serial Box borrows production techniques from television to provide a dynamic new dimension to audiobooks. Serial Box offerings are written by a team of accomplished authors similar to the writers rooms of television series. Each serial is released in seasons comprised of 10 to 16 weekly episodes. These episodes feature dramatic narration and the highest levels of audio production, including sound effects and background music. Episodes can be purchased individually, or passes can be bought for complete seasons. Text transcripts are also available for each episode at no additional charge. 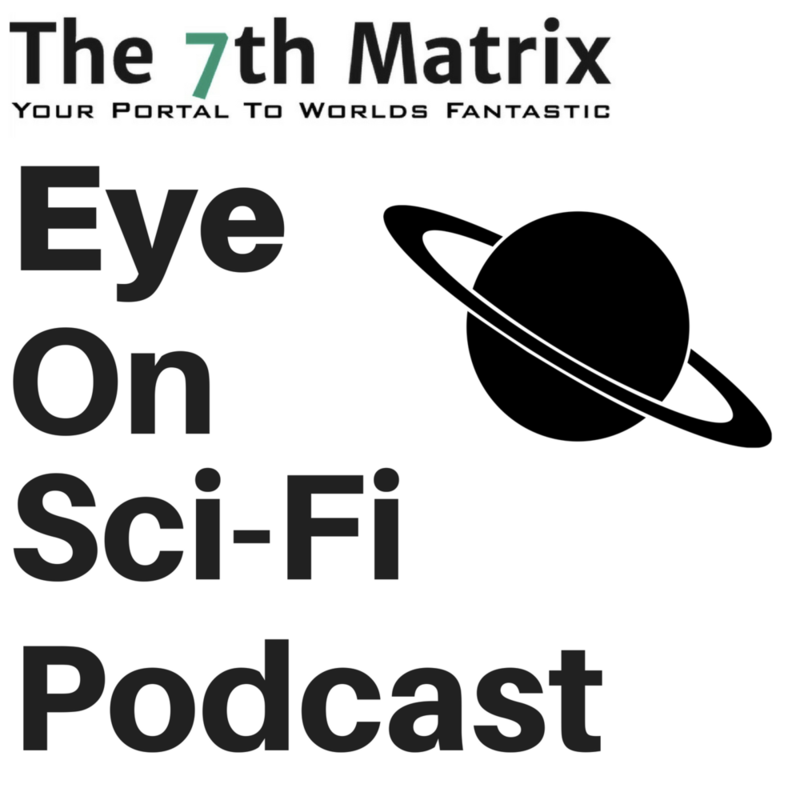 Episodes can be listened to on the Serial Box site, via the app, or downloaded to almost any mobile device. In my opinion, audiobooks and audio dramas offer a level of story immersion unmatched by any medium because listening to a story engages our imaginations in a much more visceral and intimate way. Remember, our storytelling traditions all began with us gathered around a fire listening to stories being told long before the printed word and visual media were invented. What makes Serial Box’s platform so unique is it makes consuming audio novels less intimidating and far more convenient with its episodic story structure. If SILVERWOOD: THE DOOR is indicative of the production quality of all of Serial Box’s content, count me in. SILVERWOOD: THE DOOR’s acclaimed writing team is headed by author Brian Keene and includes fellow horror authors Stephen Kozeniewski, Richard Chizmar, and Michelle Garza & Melissa Lason (The Sisters Of Slaughter). Like its predecessor, SILVERWOOD: THE DOOR is a frightening descent into the deepest depths of dread and unspeakable horror you won’t soon forget. Certain horror films are so unnerving, their impact leaves an indelible brand on your psyche. DARK WAKE is just such a horror film.. The short tells the story of an unnamed amnesiac (John Marcucci) who awakens in the middle of the night. A small, strange portal opens along his bedroom wall revealing the lower jaw of a demonic guide (Anne Shepherd). The guide warns the man he is about to die. The portal vanishes and the hallway leading to the man’s bedroom is suddenly enveloped in inky darkness. The man notices something moving in the darkness. Suddenly, a creature straight out of Dante’s Inferno emerges. Then creature attacks the man and begins devouring him. The man awakens only to endure the experience of being consumed by hideous monsters over and over. The guide tells him that in order to escape his fate, he must overcome his terror with a memory from his former life. The man succeeds in reclaiming a memory and defeats the next attack, but then an even greater infernal mystery is revealed to him. I’ll just be blunt here - DARK WAKE freaked me the hell out, and I enjoyed it. Written and directed by Abdul Ali, the short boasts horrifying, award-worthy creature designs that seem heavily influenced by the work of director Guillermo del Toro. The short’s visuals are dark, claustrophobic, and bizarre. However, what really sells its nightmare world is the sense of disorientation and visceral terror viewers share with the protagonist. Adding to the surreal atmosphere of the short is the fact the protagonist’s reliability as a narrator is left in question. Is he dreaming the entire experience, or is he having some sort of psychotic break? Is he actually trapped in some sort of hellish alternate dimension? DARK WAKE doesn’t provide any clear answers - and that is what makes it such a chilling, disturbing, and compelling watch. What do you think are the most frightening monsters? My answer would not be vampires, werewolves, or zombies. Not the xenomorphs from Aliens. In my book, human beings are the most terrifying monsters of all, because of the cruelty we can visit upon each other. When watching the opening scene of Meet Henry, you will meet the titular character who appears to be an average young man conversing with a friend. Things quickly escalate during the debate when Henry reveals a dark proclivity. You may think the film falls squarely in the horror genre with no science fiction influence to be found, but wait until the final moments of this brief, though haunting short. To reveal more would give away the pivotal plot twist at the end. A turn that will absolutely place this short in Black Mirror territory of dark science fiction. This film also marks the debut of Chris K. Daniels (who also stars), a promising young filmmaker.